Churches making a difference in their community have a robust stewardship system that encourages people to give to the mission. 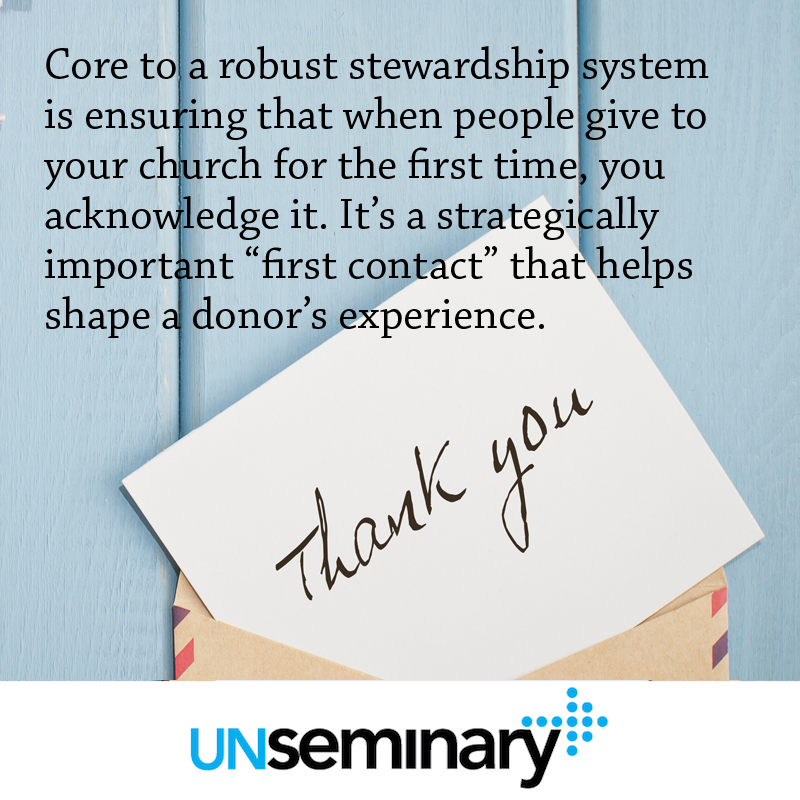 [ref] Core to that system is ensuring that when people give to your church for the first time, you acknowledge it. It’s a strategically important “first contact” that helps shape a donor’s experience. Be Thankful // Obviously, these letters need to thank people for choosing to give to your church. You can’t overdo this part … make sure you are abundantly clear that you are thankful people are giving to the mission of your church. Explain Ways to Give // Make sure you explain 3-4 different ways people can give to your church. You want to provide a few options that make giving simple and convenient. 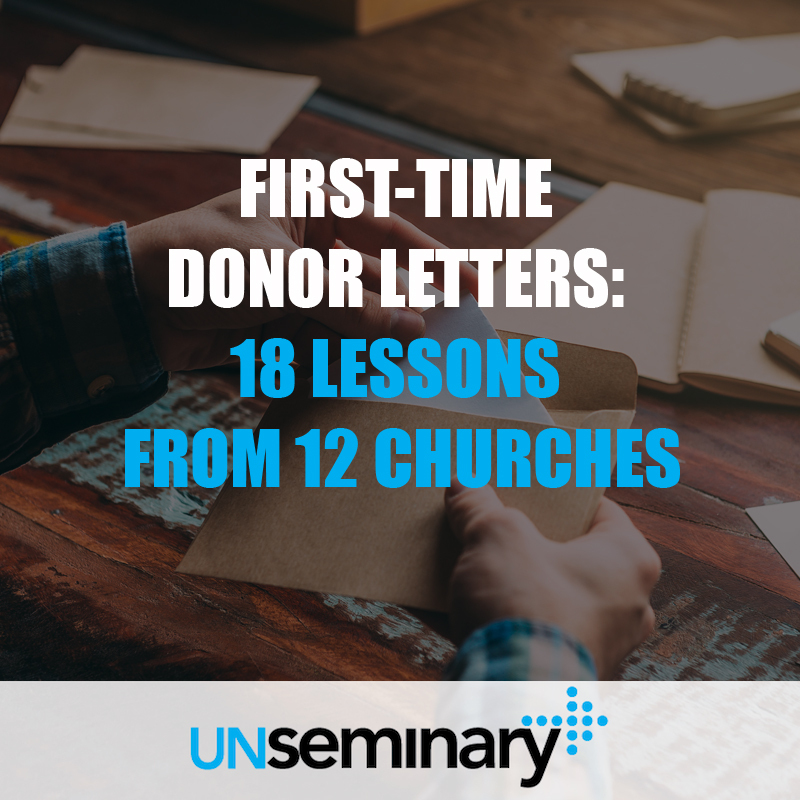 This is a great place to introduce first-time donors to these various methods, plus it encourages them to give again. A Personal Contact // A best practice among these first-time donor letters is including a personal contact for someone on your team that the recipient can connect with. Often, donors have technical questions about their giving. Ensure that someone from your financial team can be quickly and easily contacted. Build Confidence // When people give to your church for the first time, they are subconsciously looking for cues as to whether they can trust you. Make sure to communicate that your church can be trusted through referencing your review (or audit) process or by acknowledging that you are entrusted to be a good steward of the resources donors provide. Point to a Next Step // Ultimately, we want to move first-time donors to becoming regular donors. Give them a next step to move toward regular giving. Point toward a 90-Day Tithe Challenge or give them a message on stewardship to listen to. A number of the churches below gave their donors a small booklet that elegantly communicates what happens when people give. Encourage people to take the next step! Affirm Spiritual Growth // Giving is an inherently spiritual act. 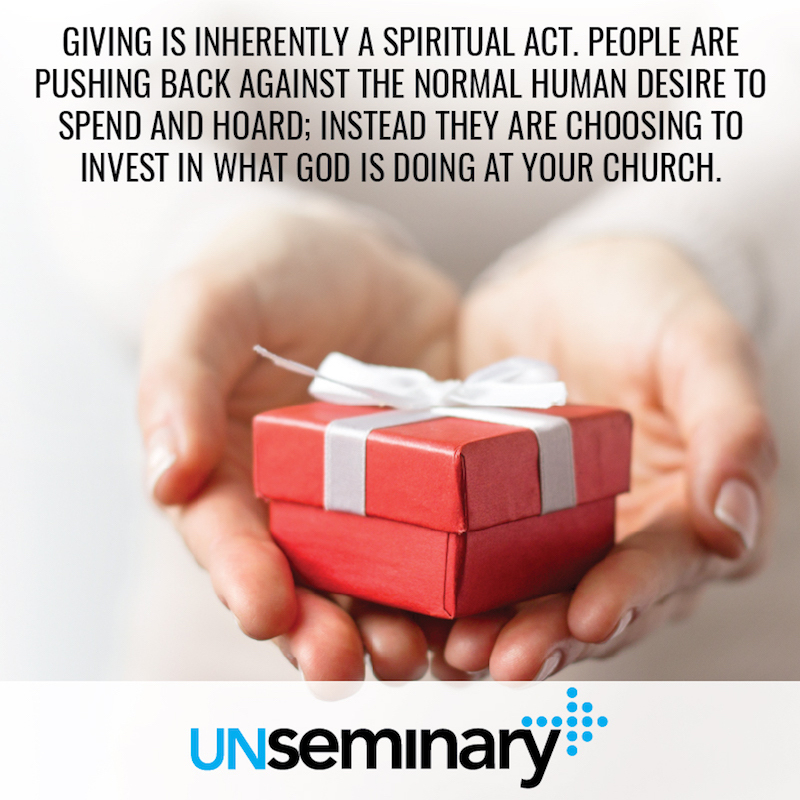 People are pushing back against the normal human desire to spend and hoard; instead, they are choosing to invest in what God is doing at your church. Point out this fact. Encourage donors about the positive steps toward God they are taking through giving. Don’t be so “functional” in your communication that you miss the pastoral opportunity that this letter presents! Hey. Do recommend a letter over an email?